Summer is right around the corner. That means it’s time for fun in the sun! Everyone loves enjoying a warm, relaxing evening out on their favorite patio. 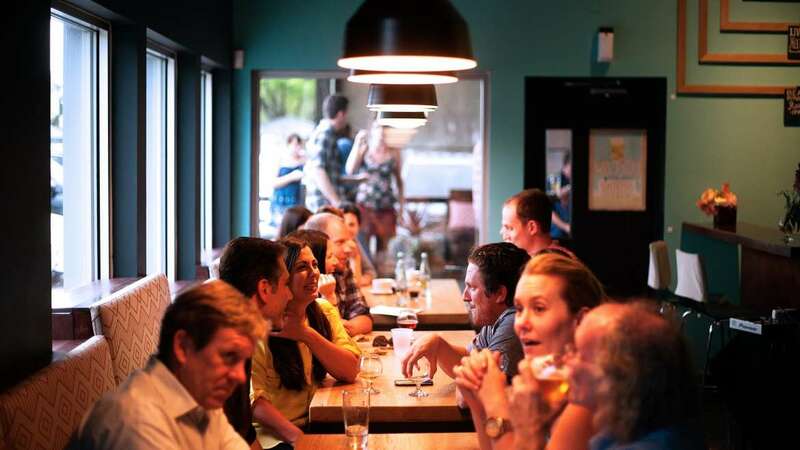 Whether it’s at a bar or a restaurant, customers are flocking to the cleanest and most well put together places they can find. Word of mouth is everything, and one bad review can effect your business for the worst! Let Dazzle CC help prepare you for the busy season with Surrey commercial carpet cleaning. What kind of Surrey commercial carpet cleaner services does Dazzle CC offer? Dazzle CC has worked with dozens of commercial properties – bars, restaurants, and even office spaces! If you’ve got carpet, tile and grout, or upholstery, then we can clean it for you. We use both truck-mounted and portable Surrey commercial carpet cleaner services. We’re the best in the biz – we’re innovative, professional, and our results are second to none. Does Dazzle CC offer free estimates? Yes we do! At Dazzle, we believe it’s important to provide transparent and upfront pricing for all of our clients. This means that we’ll personally visit your commercial property at a time that works best for you, take measurements, and put together a completely free estimate for you. There’s no obligation to accept it, but we always hope that you will! After that, it’s as simple as arranging an appointment time. We understand that you’re trying to run a business, and we’re happy to offer weekend and evening appointments to remain flexible. How do I book an appointment with Dazzle CC? It couldn’t be easier. If you’re interested in Surrey commercial carpet cleaner, simply contact us today. You can call us at 604 802 8500 or shoot us an email at info@dazzlecarpetcleaning.com. Either way, we’ll be in touch ASAP! Interested in learning more about the commercial clientele that we already service? Check us out on Instagram.